Last week’s State of the Nation Address (SONA) and the subsequent fallout is being voraciously dissected in the press. Most of the analysis, however, is on what the media presumes are unintended consequences of President Jacob Zuma’s poor planning. But, what if none of what happened these past few days was unintended? What if everything that transpired down to the reaction of the opposition parties was meticulously planned and delivered exactly as the South African President expected. I, for one, think it is worth considering that the facts speak to President Zuma being an incredibly astute politician. Far from Jacob Zuma stumbling into his position, it is more likely his survival and ascension to the most powerful office in South Africa is only testament to his being a masterful operator. 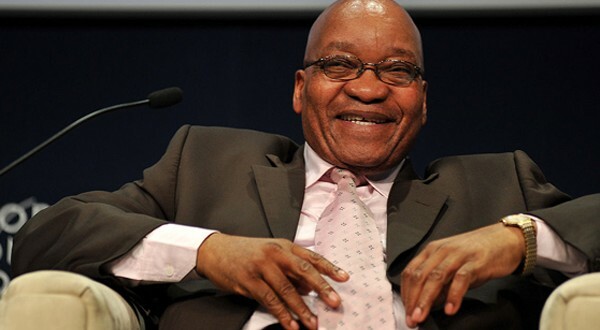 But perhaps President Zuma’s laughing and smiling throughout this week is not a nervous response or sign of a crooked mind, but rather genuine pleasure that things proceed exactly as planned. For a start, President Zuma and the country knew full well that Julius Malema would try to interrupt the State of the Nation Address. The President could have mitigated the threat by simply letting Malema ask his question and then responding. Instead, there was a much publicised mobilising of security forces that were infiltrated by the police. The security services were reported as even using Malema’s headshots as target practice. A cell phone scrambling device was brought into parliament and installed in an obvious and identifiable box for all to point at when they could not get a signal. Outside parliament the police used demonstrable force and targeted opposition demonstrators. Following the event, Baleka Mbete, national chairperson of the African National Congress (ANC) and Speaker of Parliament called Malema a cockroach in public and at an official ANC event. Most of the press is diagnosing these acts as if they were accidentally uncovered. But in fact, put together, they appear to be more purposefully communicated to the public. The discovery of police involvement in extracting the opposition from parliament, for example, was as easy as Googling a Facebook page. The cell phone scrambling device, instead of being discretely hidden, was almost presented to the public in a conspicuous box. Mbete’s statements were not leaked to the press from behind a closed-door meeting, but rather made in full view of the public. What has happened these past few days, is more likely a carefully engineered spectacle of power. First of all the President has communicated clearly to the opposition that he is in full control of the security forces and the organs of the state and that he will continue to be so. Secondly, the President has communicated that there is no sacred space, and that whilst he is willing to tolerate the polite objections of the DA, that is as far as he will go. I don’t think this means a return to the dark days of Apartheid, but it very clearly communicates the warning that to emulate Malema’s approach will result in being declared akin to an enemy of the state. As Captain Prins, the police officer who ejected Malema from parliament stated on his Facebook page: “Don’t worry, at some stage in the near future we’ll go back into Parliament for old Julius!” – or anybody else that fits the profile, I presume. The state of the nation is that we too often think the mask we see is the true face of power. The first mask is official policy and the public workings of our government. This mask includes such documents as the National Development Plan or functioning structures like parliament. It may look real, but it simply is not. What the public sees is simply the negotiated façade between what the ANC wants and what it is prepared to officially communicate in public. But what the ANC wants is no longer the true face of power in South Africa either. Before this week, the ANC policy conferences and the vibrant debate between the ANC, labour, the Communist Party and other affiliates used to be a good indicator of the real intention of the ruling party. However, what happened this week demonstrated that this too has just become a mask. Behind this mask is President Zuma’s formidable and possibly insurmountable power base that essentially embodies a network of executive functions that make all the decisions in South Africa with the ANC being nothing more than a mechanism to endorse and publically defend. The institutions of our democracy, then, are only there to maintain the illusion of a vibrant debate that is simply not there. President Zuma chuckled because everything, down to the reaction of the opposition went exactly as planned in the State of the Nation Address. President Zuma smiled because even after the obvious violations of democratic rights and principles, his democratically elected ANC stood firm in their support for him. President Zuma smiled most of all because with not a single ANC parliamentarian speaking against him and with almost two out of three South Africans voting for him, he is in full and uncontested control, and has the support he needs to move forward.